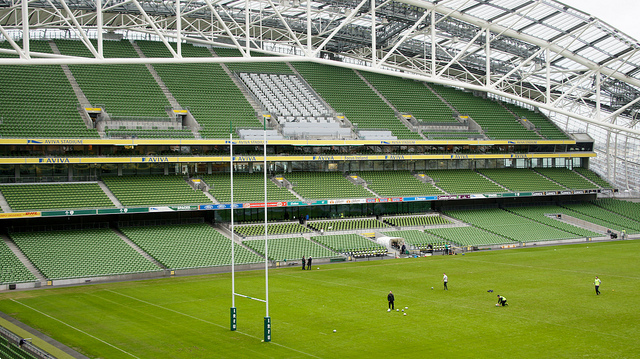 HARPIN' ON RUGBY: Can Ireland win the Six Nations in 2017? It has been a difficult couple of years for Irish rugby. Since they secured back-to-back Six Nations titles in 2014 and 2015, Joe Schmidt’s men have struggled for form; suffering a shock defeat to Argentina in the quarter finals of the World Cup before finishing behind both England and Wales in the 2016 Six Nations. And despite their difficulties both on and off the pitch, Ireland's time to push on and challenge for glory is now. In recent times, a number of key stars have announced their retirement from international rugby but Ireland simply has to move on. Losing both Ronan O’Gara and Brian O’Driscoll in the last three years was tough on the national unit but now inspirational leader Paul O’Connell has also hung up his boots. Ultimately, it has been a difficult spell for Irish rugby – and those difficulties could continue if Schmidt doesn’t react quickly. Heading into the autumn internationals, Ireland aren’t exactly in fantastic form. Schmidt’s side have lost four of their last seven games and are now ranked as the sixth best side on the planet. With two tricky fixtures against New Zealand and another clash with Australia approaching at the end of the calendar year, Ireland’s tough run could be set to continue. They will certainly need plenty of passion, endeavour and skill to stand any chance of earning positive results in these clashes. As of October 18th, Ireland are about to undergo a very difficult spell but a positive set of results in their southern hemisphere fixtures could signal the start of something special at Aviva Stadium. With two home clashes in next year’s Six Nations tournament, the Irish will be looking to make home advantage count – especially against title rivals England. Victory over Eddie Jones’ side could put Ireland in the driving seat in the race to win the Six Nations crown. At the time of writing, Schmidt’s men are priced at 5/1 to win the title with Betway and fans will be tempted to back Ireland if they show plenty of improvement in November. It would be foolish to read too much into two potential defeats against world champions New Zealand but anything less than a convincing victory against Canada and a close clash with Australia could bode ill for Ireland’s future at the top of the sport. With Johnny Sexton still struggling to cope with his recurring injury issues, Ireland may need to look elsewhere for inspiration in the 2017 competition. Sexton was ruled out of Ireland’s Test match series in South Africa this summer and he is now sidelined with a hamstring injury. As a result, Leinster are set to promote youngster Joey Carbery into the starting role – at just 20 years old, Carbery could be the face of Irish rugby for many years to come. Whilst he is still incredibly young, Carbery could blossom into a top talent if given a shot on the international stage. Schmidt may be hesitant to throw him straight into the starting lineup but even just including him in the squad could give the Leinster starlet a huge boost ahead of the rest of the season. Carbery’s inclusion won’t define Ireland’s chances but he would at least give Schmidt an additional option for the upcoming internationals if Sexton’s injury issues continue. Ireland aren’t the dominant force that they were two years ago but Joe Schmidt’s side could surprise a few in the 2017 Six Nations. They have plenty of young talent coming through the ranks and, with a bit of luck on the injury front, the Irish could be there or thereabouts in the race for the Six Nations crown.